This seems to be a common misconception, so let me go ahead and talk about this. There is no way to prevent a fraudulent chargeback issued by a credit card company. It doesn't matter if you send it as "gift", "goods and services", or as an invoice. When Paypal gets a chargeback issued by the bank they gather information from you, and then argue your case for you to the bank. So how do you best fight it? 1. Call Paypal. Do not email them. Do not use their web portal. Call them. 2. Gather as much evidence that you can and send it to Paypal. Call them to confirm they got it. 3. Hope for the best. Call paypal. Even if you lose the bank chargeback, if Paypal deems that you weren't at fault they will eat the cost of the chargeback. It really burns my toast to see individuals doing this to artists. I hope that everything goes good for you, and please don't let up on Paypal! 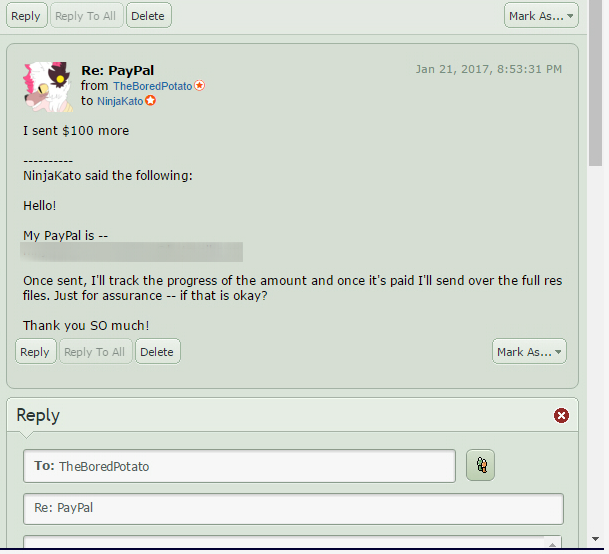 Oh I did call PayPal, 3 times in fact to confirm and keep up with what was going on. They did tell me that because the person had used the 'Gift' option it was easier for them to file a charge back because there was no goods to be presented. 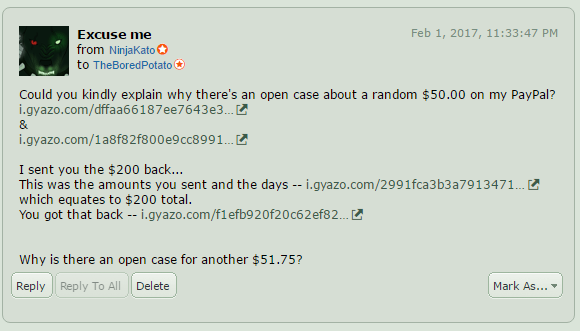 I couldn't really hold any grounds if I did dispute it aside from showing that I had in fact sent them back $200 as a refund (labeling it so as well). Right now I've sent all my evidence to PayPal and discussed it with them. They told me that they are about 99% sure I'll win the case because the fact is the person DID get their money back and there's visible proof that they did. 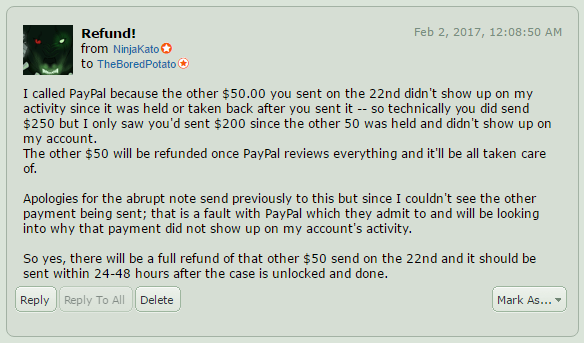 However, if TheBoredPotato doesn't cancel the charge backs against me and others then the money will be withheld from me and anyone else they falsely charged back for anywhere up to 30-75 days; or until the card company settles. I'll be calling PayPal on Monday again to keep up with what was going on. 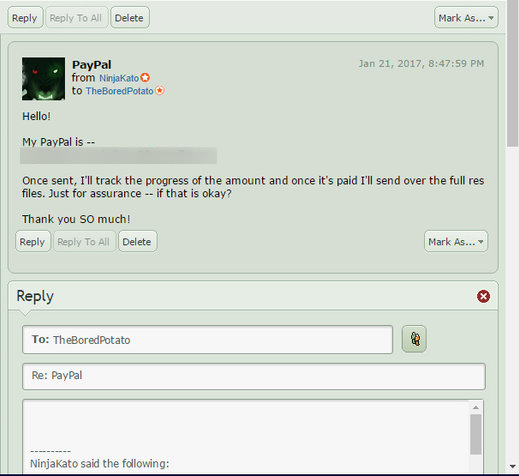 They told me to wait a week or so and try to keep in contact with TheBoredPotato (they called them by name but I won't share that here) and see if I could persuade them to cancel the charge backs on their own free will. So far nothing; they seem to have disappeared so... I'll be waiting for the claim/case to be completed but I WILL be keeping tabs on it. 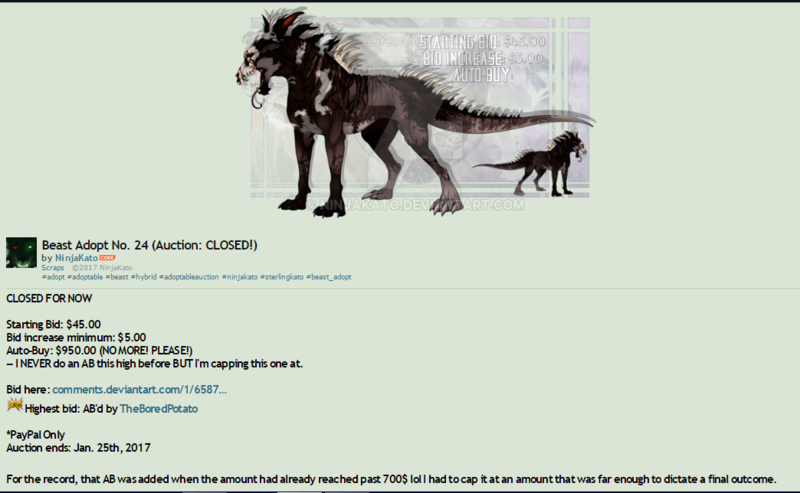 It wouldn't bother me if it wasn't nearly $400 they're trying to weasel out of me. They got their $200 back and would get their other $50 if they'd let go of it and give me my money back. Anyway, thank you kindly for your advice! I do appreciate it!